MESVision Optics is an Online optical provider, who seamlessly applies available contact lens benefits at the time of purchase. MESVision Optics stocks all major brands and types of contact lenses at a reduced price from other online retail sellers. Every lens is shipped in safe, sealed containers and is guaranteed to be the exact lens prescribed by the doctor. MESVision Optics has a selection of Sunglasses, and Contact Lens accessories available for purchase in addition to Contact Lenses. Free shipping is available for all orders over $50.00. How do MESVision Members access this benefit? It's Easy! MESVision Plan Members simply go to MESVision.com and log into the Member site. After log-in, members can follow the information on the homepage to access the MESVision Optics site and shop. Do I need to be a MESVision plan member to order from MESVision Optics? 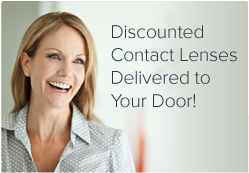 Anyone can order discounted Contact Lenses, Sunglasses, Readers, and Accessories. MESVision plan members can apply their eligible benefits to reduce their out-of-pocket cost for contact lenses. Is free shipping only available for contact lenses orders when I apply my benefits? Free Shipping is available on ALL orders over $50.00! Do I need to fill out a claim form for reimbursement? MESVision Optics seamlessly applies all eligible contact lens benefits at the time of check out for MESVision Plan Members. No paperwork is involved. Do I need to always go through MESVision.com to access the site? MESVision Optics can also be accessed by visiting www.MESVisionOptics.com. To utilize any available contact lens benefits during check-out, members log in to MESVision.com. Are you an MESVision Member? Log in to your MESVision account and use your eligible benefits towards a contact lens purchase at mesvisionoptics.com today! All content © Copyright Medical Eye Services, Incorporated. All Rights Reserved. names mentioned may be trademarks or service marks of their respective companies.